Rome (Agenzia Fides) - "There are still too many individual interests that hinder the full achievement of the peace agreement", says to Agenzia Fides His Exc. Mgr. 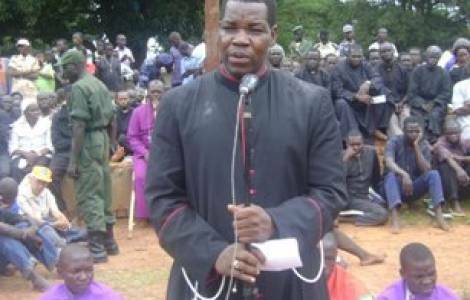 Barani Edward Hiiboro Kussala, Bishop of Tombura-Yambio, President of the Episcopal Conference, which brings together the Bishops of Sudan and South Sudan, in Rome for the ad Limina Apostolorum visit. The ongoing negotiations in the Sudanese capital, Khartoum, are sponsored by IGAD (Intergovernmental Authority on Development), and in particular by two of its members, the same Sudan and Uganda, which have a strong influence on the two civil war contenders. "Unfortunately, despite the pressure exerted by the respective African partners, the different parties in conflict struggle to put aside their differences to forge peace. We must look at the common good and in the first place to put an end to the suffering of the population exhausted by years of war", underlines Mgr. Hiiboro Kussala. "Another factor that slows down the achievement of a real peace agreement is the tiredness of the international community in dealing with the South Sudan issue. After many false departures and agreements signed and never respected, the international partners of South Sudan look at the present negotiations without committing themselves too much to ensure that it reaches a good point", says the Bishop. "We must also take the low level of acculturation of the population into consideration; more than 80% of the population have no school education", remarks Mgr. Hiiboro Kussala. "This opens up ample space for those who want to incite violence by fomenting tribalism. On the other hand with these low levels of schooling it is not easy to promote, from the most humble social strata, good governance, respect for human rights, the correct use of the Country's resources, starting from oil. Unfortunately, the proceeds from the sale of oil are not used to improve the living conditions of the population but disappear outside of South Sudan".